How can I encourage my gelding to have fun with the ball? This is cool! First off, thank you for giving us the opportunity to reach out to you with questions in a very real way. I do have a question I have been trying to answer…..THE BALL. 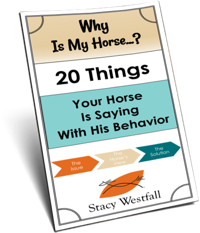 How can I encourage my gelding to have fun with the ball and interact with it?! Do you think some horses just aren’t lovers of the exercise ball and that is that? 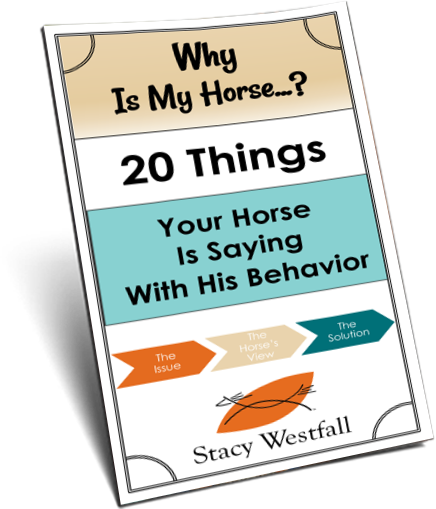 He plays with his mini in the field and other horses, they run and play but the ball… he basically just ignores it. Which now, as I’m writing this maybe starts to answer part of my own question. I have “desensitized” him to it, so he isn’t afraid of it. He just doesn’t know what it’s all about? Or doesn’t care to? Do you think he doesn’t understand he CAN play with it? Are there other ways to encourage him to be playful with or without the ball? He is a naturally easy going guy, maybe he just thinks that’s too much work? LOL I’m not sure.I would love to hear what your thoughts are! lol…I think you worked this out while writing to me. Some horses just don’t feel like playing with it. Often the really playful, young, or stallions are the most aggressive. Popcorn for example only ‘plays’ with it when he walks over and takes it away from someone…not so much ‘play’ as a sign of dominance. Otherwise he won’t touch it. Others prefer something more responsive like other horses. I bet you’re spot on with the observation that he is a bit lazy and thinks why bother. One thing i’m sure of, if they want to play with it there is no amount of desensitizing that takes it away. Jac was fully desensitized and still went crazy with it! See he button on the right hand side of the scree? They come straight to me and I listen to every single one!